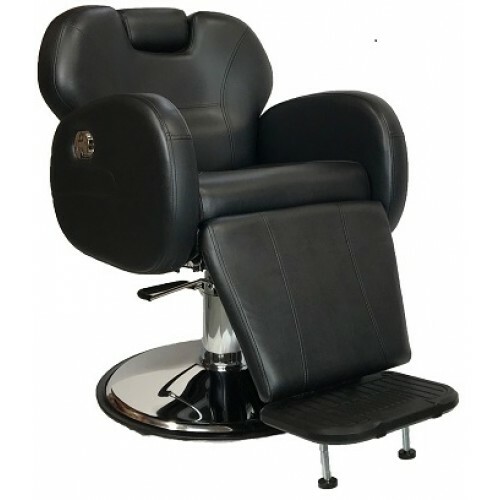 This Barber Chair is fully equipped with advanced reclining backrest and adjustable headrest for shaving and comfort. Superb fully hydraulic solid chrome base. 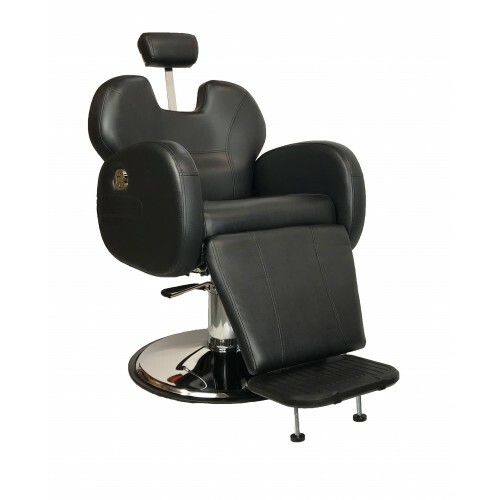 A top quality Barber chair at a reasonable price. Pamper your clients in the chair's executive deep comfort and quality. Do not confuse this grade 1 chair with cheap alternatives. Deeply padded and very comfortable. 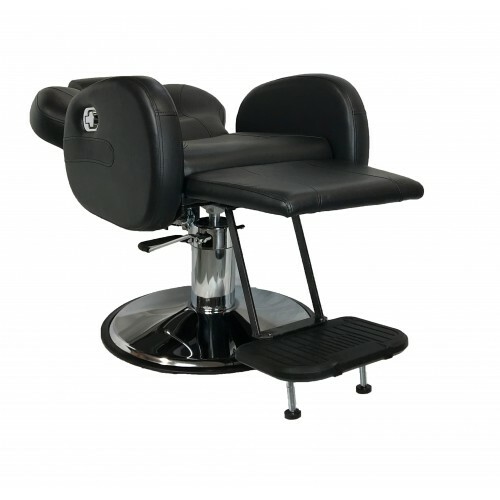 Silky smooth hydraulic pump and base, fully reclinable, full rotation/adjustable headrest. Seat Width (Arm to Arm) 21.0"